I love starting the new year with new skincare products. 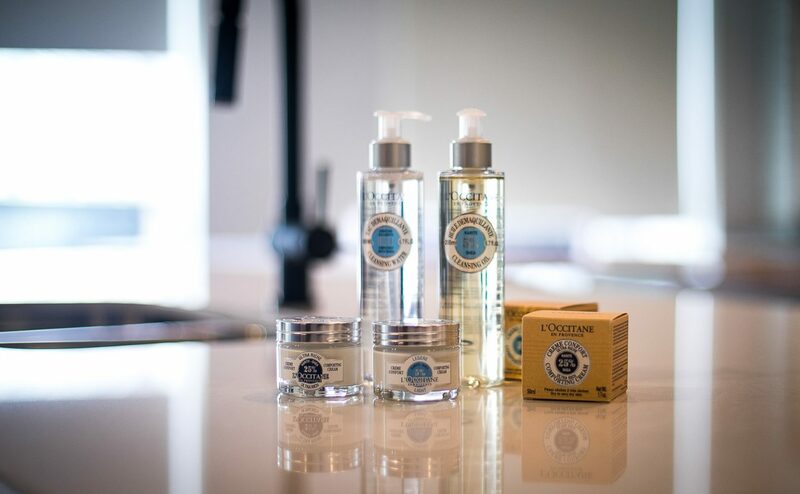 That is why I have partnered with L’OCCITANE to try their new Shea skincare products. The shea butter used in L’OCCITANE is from Burkina Faso. Located in west Africa, this country is one of the poorest in the world. Burkina Faso Shea Butter is produced in a fair trade agreement with cooperatives of women in Burkina Faso (West Africa). It is Certified organic and attested fair trade from Ecocert. L’OCCITANE’s partnership withBurkina Faso benefits the women of this country supporting over 26,000 women since the begining of the partnership. The women of Burkina Faso produce the Shea Butter by hand using traditional methods. This traditional method produces shea that is exceptionally rich in omega 6 and karitene. Both Omega 6, and Karitene are great for your skin as they promote healthy skin growth. Shea butter also does a great job of nourishing and protecting the skin. The L’OCCITANE Shea face care 3 step skincare line claims to leave your skin silky soft, hence I had to give it a try. A cleanser, makeup-remover, and toner all in one! It removes makeup and dirt while leaving your skin perfectly cleansed. Follow step 1 with this cleansing oil. This deep cleanse transforms into a soft emulsion upon contact with water to preserve the skin’s natural hydration. Finish the routine by adding the Light Comforting Cream. This cream has a fine, non-greasy texture with 5% shea, and formulated for normal to combination skin. The Ultra Rich Comforting Cream has a creamy and melting texture, formulated with a high 25% shea butter content and perfect for dry to very dry skin. I started using the L’OCCITANE shea butter products about 2 weeks ago, and I have to say that I’m already beginning to see the results. 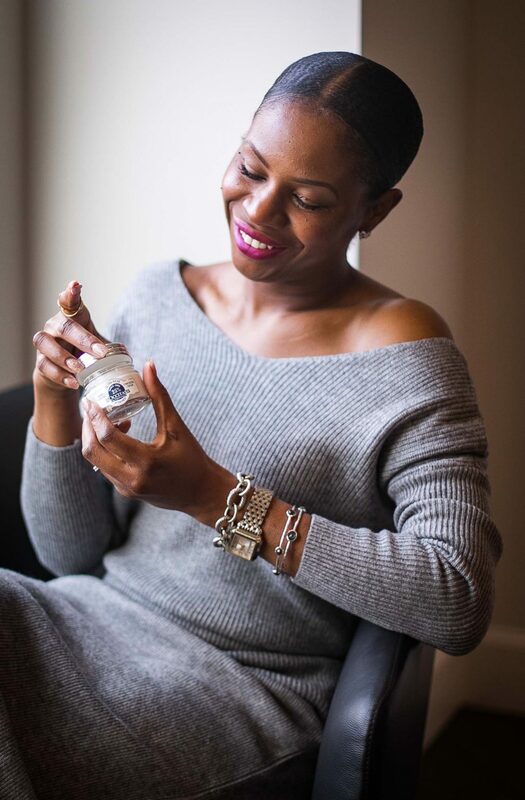 I personally love the 3-in-1 cleansing water because I love the way it makes my skin feel. On nights when I don’t feel like doing all 3 steps, I use this product. It literally cleanses my face, leaving my skin feeling amazing. On days when I go for photoshoots or events, I tend to pack on a lot of makeup. The cleansing water partnered with the cleansing oil do a great job of cleaning my face. The deeper cleanse of the oil is a big relief, as it relieves my face of all the excess makeup. Now that the air is cold and brittle, I find my skin becoming drier, hence I use the Ultra Rich Comforting Cream during the day and the Light Comforting Cream at night. I know it’s only been a few weeks, but I’m in love with my skin right now. 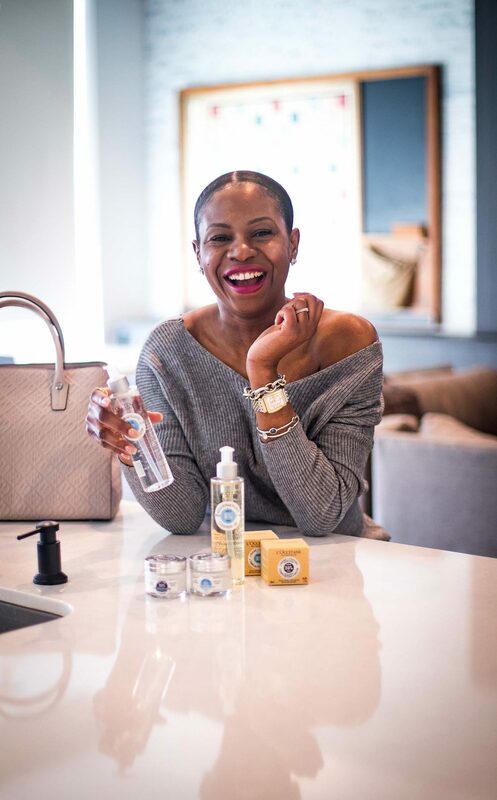 I definitely have a noticeable new glow, and I love the multiple inquiries I have received with regards to how I achieved a fresh glow during the winter. Great silky soft skin leads to confidence and great outfits. With my skin looking and feeling amazing, I feel ready and confident to face the world. 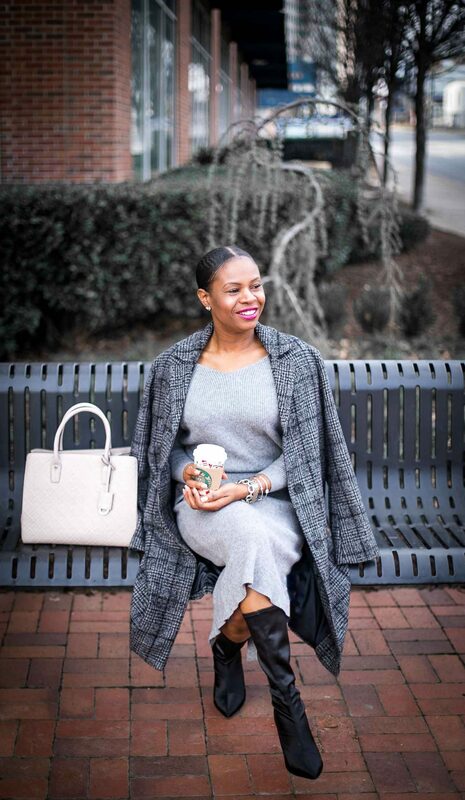 This knit set paired with a plaid jacket and fabric boots, serves as a great outfit. It’s perfect for work, and meeting up with friends for brunch or tea. Get inspired by this fabulous look and great skin regimen, and click on the shop links to recreate the look. 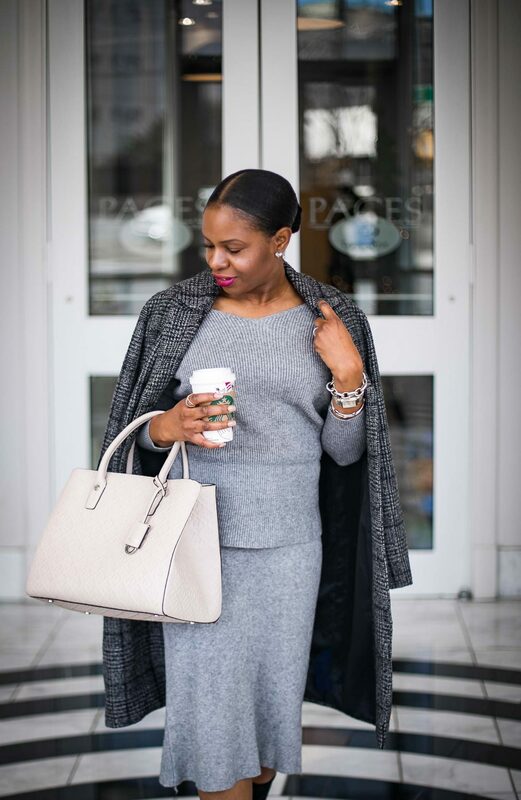 KNIT SWEATER SET | HEART EARRINGS | PLAID COAT SOLD OUT, LOVE THESE OPTIONS (HERE) AND (HERE) |BRACELETS (HERE) AND (HERE) | GOLD AND SILVER LINK BRACELET | LIPSTICK PENCIL COLOR:”PLUM N GET IT 360″ | BEIGE TOTE | GOLD AND SILVER WATCH | BOOTS ON SALE!